Golf isn’t what it used to be, golf is no longer a game only for old, rich men who want a reason to be away from home for a whole day. Golf is a fun, exciting game for men and women. When I made my first facebook post about golf in Panama City I was positively surprised at the response, to be more accurately at who responded and why.The majority of the responses, public and private, where from ladies looking for a fun place to take their other halves on a date, guys – girls want to take you on golf themed dates – WHAT A TIME TO BE ALIVE! Without having been there I suggested that the best place for a golf date in Panama City would be The Green Club, a place I’d been following on Instagram for a while without ever having visited. Today I decided to meet up with Mike Norman, the professional golfer who looks after the place and see what this place had to offer to experienced golfers like me, and folks who haven’t too much golf experience (or any at all) but who want a fun place to visit. TLDR: A cool place, with great food and a fun atmosphere. The excellent golf setup has something for everyone, golfers wanting a fun experience, a golf lesson or a club fitting AND for those with no or little golf experience who want to have a great experience, book in advance! The Green Club is a big, big venue, much bigger than I was expecting and it really does ave something for everyone to enjoy. The golf simulators are a huge part of the venue, which is split over two levels. 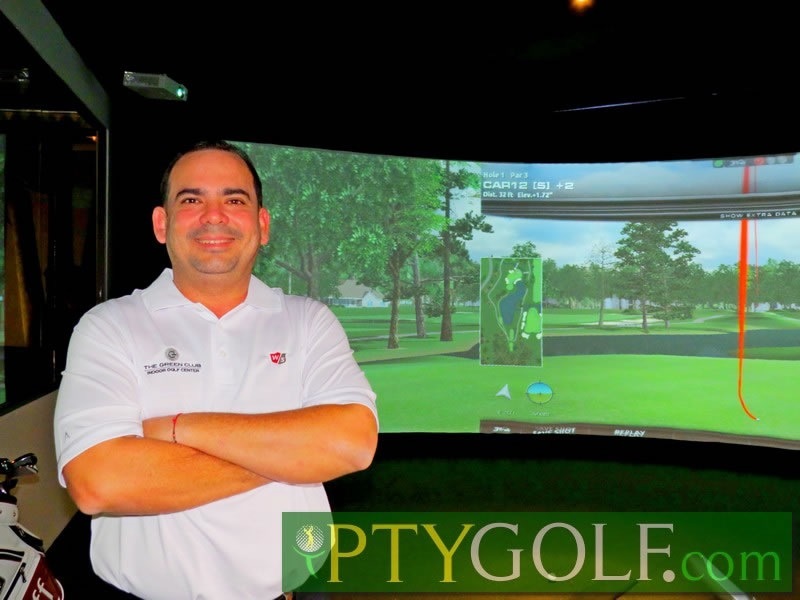 The simulators are pre-loaded with games and ideas to help golfers and budding golfers enjoy a good time. Personally I just geeked out over my swing’s stats but I was also excited about returning with friends for a chance to have a beer and one of the best burgers in town with some friends whilst hitting some balls. While I was there I really got the impression that this truly classy outfit has put a lot of thought into helping people have the best time possible. There are nice, clean and actually good golf clubs available to use but, of course, you could bring your own. 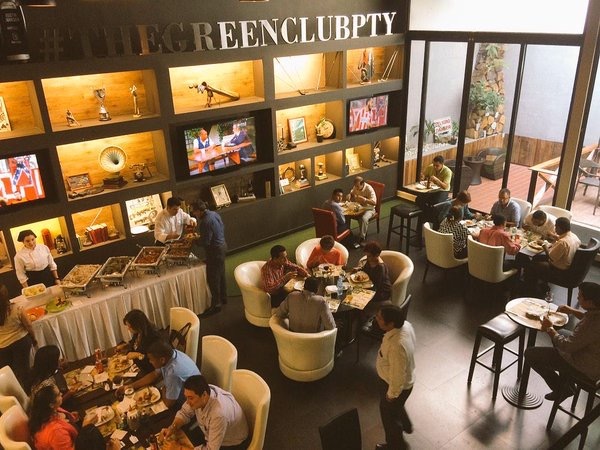 In summary The Green Club is a fun golf focused place which has perfected the balance of making golf fun for everyone without taking away any enjoyment from ma experienced golfer. Make sure you visit soon. Price: Golf approx $25. Food approx $20 per head. Drinks $3+. Next Review: Tucan Golf & Country Club, the golf course.